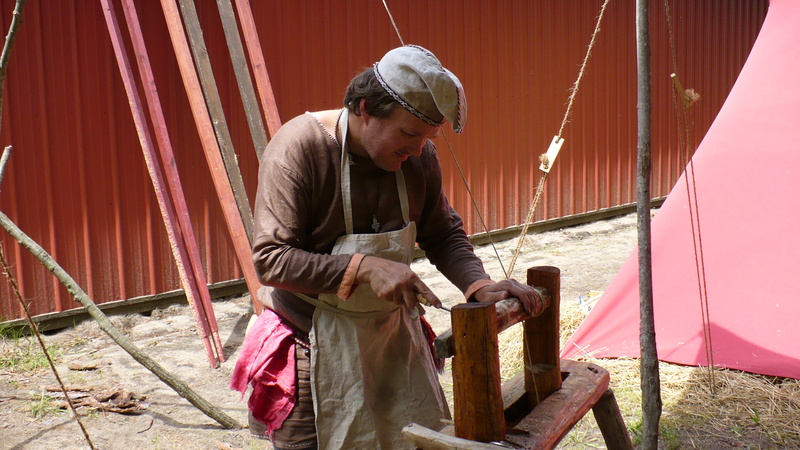 Description: At Derbyshire Ren Faire (Muskegon, Michigan) we found a suitable spring-pole and got the new lathe going. Had to redesign the treadle, but after that it worked just fine. For such a primitive design, it did an OK job.